Europe is a vast continent, and with so many countries offering different experiences for the discerning traveler it can sometimes be overwhelming trying to decide where to go. If you have endless time and resource available then you could spend your years visiting every single one, experiencing the sights and people of each country, whilst picking out your favorite. However, if you want three that will satisfy your every need and offer you a trip of a lifetime then these three countries will not disappoint as you tick off boxes on your European bucket list. Think of Italy and you think of the ancient historic sites, the wonderful food and wines, and the beautiful landscapes of incredible beaches, rolling hills and great lakes. It is all of these characteristics and more that make this a destination that should feature on your bucket list. 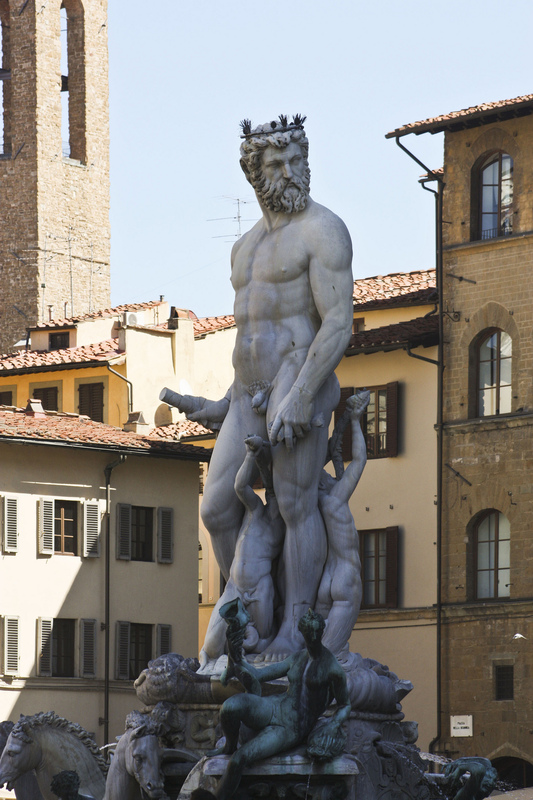 Not to be missed are the cities of Florence and Rome which are jam packed full of incredible attractions such as the Coliseum and Roman Forum in Rome and the Ponte Vecchio and Statue of David in Florence. Away from the cities, in the Tuscan countryside you can cycle through the vineyards and soak up the postcard perfect views whilst stopping occasionally for a glass of locally produced wine. Top things off with a stay in one of the regions stunning luxury villas like these and your trip will be complete. Spain oozes charisma and charm with its passionate people and vast number of great destinations for the traveller. In the south, the cities of Seville and Granada with their Moorish architecture and flamenco soul are perfect for a cultural city break. The coastal city Barcelona is great for a city/beach break in the summer and northern San Sebastian serves up a gastronomic treat. The beaches of the Costa Del Sol offer the holiday maker some great hotels and resorts perfect for relaxing in the sunshine and the mountains of the Sierra Nevada even provide opportunities for skiing! Spain really does have everything and is often cheaper than other European destinations such as France and Italy. The UK may not be known for its fine weather but that shouldn’t put you off a visit as there is still plenty to enjoy come rain or shine! Brilliant London is just as you imagine it to be with its iconic red buses and black cabs and wonderful sites such as Big Ben and Buckingham Palace. Many people come to the UK and only visit London and if you do this then you are most certainly missing out. In the north of England, the historical city of York with its magnificent minster and old cobbled streets will make you feel like you have stepped back in time. Lovers of the outdoors should head to the Lake District where the countryside is simply stunning. Then you have the quaint villages of the Cotswolds where you can sit back in a beautiful cottage (check these out) and explore wonderful countryside and enjoy village life. In Scotland, the cities of Edinburgh and Glasgow each have their own personality with plenty going on and some wonderful restaurants. If you are lucky enough to visit Wales as well then head to the lovely seaside town of Aberystwyth. While most venture to the United Kingdom in the summer months when the weather is at its driest and sunniest, those that do not fear rain nor the damp chill of winter travel to the United Kingdom in the off-season, looking to explore the top attractions and the off-the-beaten track secrets of one of the world’s most famous nations. While most think that the British Isles are a perpetually rainy and foggy place come winter, a quick trip through the mountains of Scotland will prove this assertion dead wrong. By taking advantage of a cheap car rental Edinburgh Airport UK, you can get your journey to this sublimely beautiful range in the Scottish Highlands off to a quick and financially efficient start. 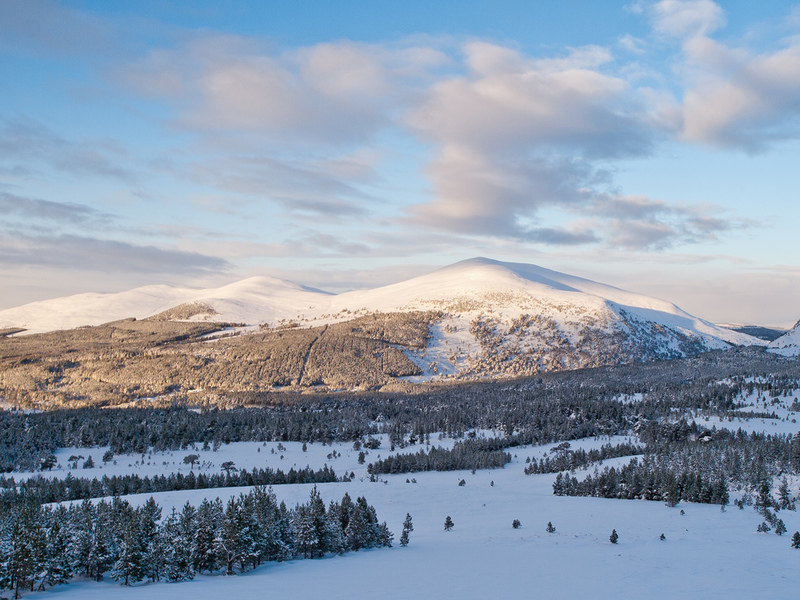 One of the more exciting things one can do in the Cairngorms is to go skiing or snowboarding, as the heights of its peaks will frequently get buried in copious amounts of snow while lowland areas get drenched in the rain that ones more commonly associates with this part of the world. If you aren’t the active type, there is plenty to do here besides gazing up at the lovely peaks, as this region has plenty of museums and castles one can comb through, as well as a number of distilleries where one can sample some of the hooch which has made this corner of the UK world famous. Located off the coast of one of the United Kingdom’s most southerly territories, the Isles of Scilly is the warmest spot in the entire nation, with daily mean (not daily highs, but the average of low and high temps) temperatures in January sitting around seven degrees Celsius. For those sick of cold winter weather elsewhere in the British Isles, this archipelago is the perfect place to seek relief, as this is a place where locals count flower blossoms on New Year’s Day, even as most others huddle in their homes further north with a steaming pot of tea at the ready. While the weather is usually mild here in winter, it can be rough when storms push in from the Atlantic, but for those that can find beauty in waves that crash violently upon the seashore, it might prove to the perfect cure to the hectic day to day grind present in cities on the mainland. Of all the countryside scenes that the United Kingdom boasts, few are quite as famous as its moorlands, as these moody grasslands are a magnet for those that love the power of introspective thought in such a starkly beautiful place. You’ll find plenty of places to do just that in Brecon Beacons National Park, but if going for a thoughtful stroll across a grassy highland isn’t enough to capture your imagination, perhaps the fact that this part of Wales is one of the last roaming grounds of the Welsh mountain pony will. Other highlights here include ancient Celtic and Roman ruins, and the remains of old castles and churches, whose exploration are all tempered by the sharp but never overpowering nip of the chilled air of upland Wales, which is just chilly enough to affirm the fact that you are alive and are actively engaged in the art of living. Off the northern coast of Scotland are a series of lonely yet ruggedly beautiful isles with many beautiful attractions for you to see, giving you plenty of reasons to visit the Shetland Islands. Its various natural attractions and historical sites will definitely leave you wanting more, as the scenery found here is considered by many to be the pride of the United Kingdom. There are also other destinations to be explored throughout Scotland, which is why you should be excited to see the rest of this great nation once you visit Shetland. Shetland’s wild landscape is home to a lot of beautiful gardens, along with native plants and gorgeous wildflowers growing through its windswept countryside. One of its famous gardens is the Da Gairdins i Sand which is found in the western portion of the archipelago. Its 7 acre garden is home to a lot of rare plants and exotic specimens, making it a must see. There are also paths that will lead you to magnificent coastal views here. Another country garden is Nonavaar. This well kept garden is surrounded by drystone walls, and once inside this garden, you will be in awe with its trees and bushes that grow along its ponds, terraces and lawns. As a treasured garden in the Shetlands, not is it a worthwhile attraction due to its precious flowers and plants, but also because of its outstanding greenhouse and vegetable garden. Another tourist destination that you shouldn’t miss is its natural reserves, where you can see various birds and animals living in the area. One of these natural reserves is the Noss National Nature Reserve, which boasts soaring cliffs that support many species of nesting seabirds. During summer, its steep rock faces are flocked to by huge colonies of sea birds, which is why the locals refer to it as ‘seabird city’. If you walk along the coastal paths and if it is your lucky day, you might see porpoises offshore or giant skuas. Other than the Noss National Nature Reserve, you should see the Sumburgh Head which should be included in your top reasons to visit the Shetland Islands. It is set to open in Spring 2014, though some parts will still be restricted. Even still, you shouldn’t miss this place because you get to have the privilege of observing the breeding practices of various seabirds. Aside from that, Sumburgh Head is a great place to see whales and dolphins, especially orcas and minke whales. Shetland has a lot of natural attractions, but there’s more to see here than just that, as it also has many historical sites. If you want to learn more about this island chain’s history, then the best place to learn is at the Shetland Museum and Archives, where you will find out more about its people, whose stories will truely fascinate you. The museum’s collection includes laces that has been made since the late 19th century as well as traditionally made boats. Other museums that are definitely worth visiting in the Shetlands are the Crofthouse Museum and the Tangwick Haa Museum. When you travel you always expect something exciting but there’s no need to worry this when venturing to obscure places such as the Shetland Islands. It is not as popular among other European destinations; nonetheless, don’t underestimate its natural attractions and tourist destinations because they certainly hold plenty of appeal for those that love nature and close knit communities. 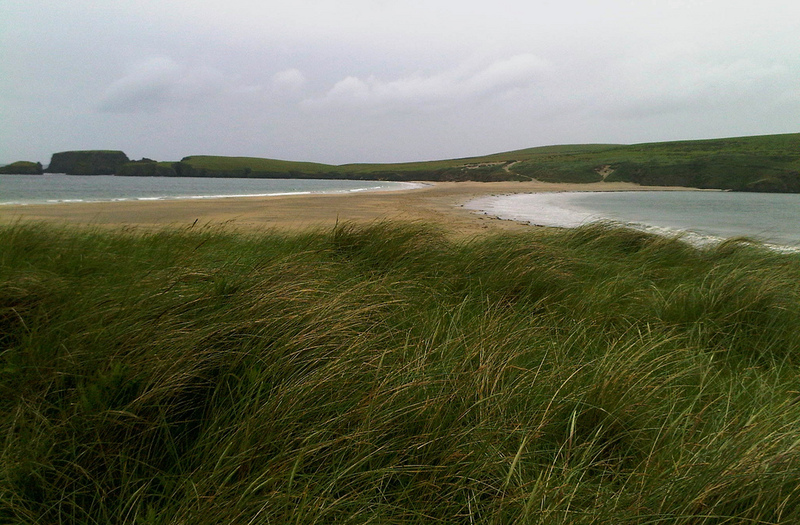 Don’t miss seeing its beauty: plan your trip to the Shetlands already! Boasting all sorts of historic attractions of global significance, and a culture that is difficult to match elsewhere, London is certainly on the bucket lists of many travelers. Unfortunately for many these days, the capital of the United Kingdom is also a very expensive place to visit (much like the rest of Western Europe), with restaurant meals, hotels, and transport coming in as much more pricey than other destinations around the globe. However, there are ways to save money on a trip to London so that you won’t end up on a one-way track to bankruptcy by coming here on holiday. To help you maintain the health of your bank account, here are three tips that will keep more of your cash where it belongs: in your pocket. Whether it is a trip to museums, the Tower of London, or a trip to one of the most salivating food markets in the city, it is practically unavoidable that you will be depending on the Tube or the double-decker buses to get where you need to go. While public transit costs can add up quickly, getting an oyster card will mitigate this expense, as fares for this paperless payment method are discounted. Prices of hotels and even hostels have you tearing your hair out? Welcome to the priciest aspect of a trip to London. While many resign themselves to biting the bullet in this respect, a better value option has emerged in recent years, as many have begun to turn their backs on pricey accommodations in favor of rental lofts. Services like Housetrip allow you to track down an apartment that fits your tastes and your budget, while inserting you within a local neighborhood in London, rather than in some highly impersonal hotel zone. This accommodation option also allows you to cook in instead eating all your meals out, compounding the value and savings realized by staying in an apartment rather than a hotel or hostel. While it’s easy to fixate on all the cash that you will be forking over to eat respectable meals out and the costs of many tourist attractions, one thing that is incredible about London is the fact that many of its museums are free or charge to attend. 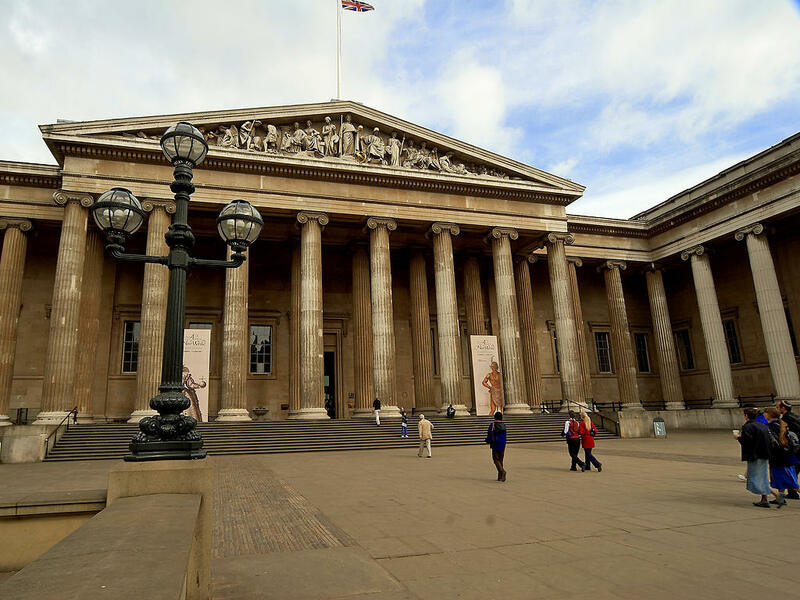 The best known of these is the British Museum, which is one of the world’s foremost authority on the artifacts in human history, containing over 8 million pieces in its collection from civilizations all over the world. Others that are free or have free days also include the Natural History Museum, Science Museum, and the V&A, all of which are world class institutions in their own right. What’s with all the hype about Benidorm, Spain? When your holiday in Benidorm starts off with views like this, you know you’re going to have a great one! Not content to let an entire summer go by without once leaving your home city for a little fun in the sun, you have been aggressively searching last minute deals for a getaway in sunny Spain before it is too late. After spending several days compiling options that captured your attention, you believe you have finally found a worthy contender. You have been looking into booking an all inclusive hotel in Benidorm, but you want to be sure that the surrounding destination is legit before committing a week long holiday there to your credit card statement. The following highlights will ensure that you are entertained during the duration of your holiday in Benidorm, which is one of the foremost resort towns on the Costa Blanca, as they have long been favorites of repeat visitors to the region. Enjoy a dip in the ocean as much as the next person, but recoil at the idea of diving headlong into a breaker and coming up covered in all sorts of plastic trash? Prefer to not catch rays surrounding by tons of loose refuse, blowing around aimlessly across its neglected sands? It was concerns like this that prompted the founding of the Blue Flag beach program, which recognizes seaside paradises around the world for the quality of their water and the cleanliness of the shore that fronts it. 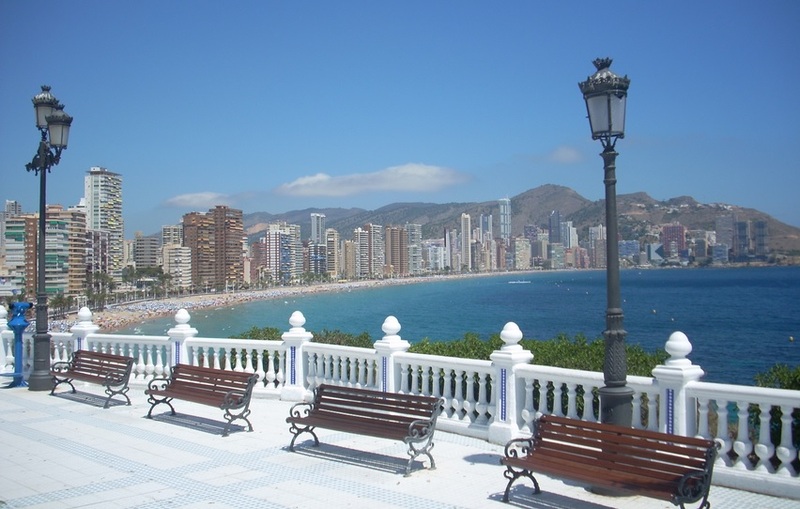 Benidorm has two popular beaches that meet this program’s stringent criteria, one of which is favored by the party-hearty crowd, while the other is better suited to families and is favored by the locals. If jumping in the ocean doesn’t appeal to you, or if you pine for something a bit more exciting than just a seashore, than spending a day at Aqualandia is allow to you to cool your jets and get your adrenaline fix all in one efficient package. Those who are continually on the lookout for the best thrill rides out there will love Vertigo, which is the world’s highest enclosed slide in the world, and with nineteen other rides that range from kamikaze drops to rapids, there is plenty of other wet attractions at Aqualandia that will satisfy you until park closing. With 800 bars scattered throughout the streets of Benidorm, there is an alcohol-serving venue here that will meet your needs … you just have to come find it! Irish pubs, sports bars, nightclubs, and Spanish-style cafeteria bars all await you here, and with many serving brews that rarely cost more than €1 per bottle, your biggest concern will be drinking enough water to stave off the inevitable headache the following morning. Nibbling on fresh baguette and drinking fine wine is one of the best ways on how to see Paris as a local! Every year, over 70 million tourists stream into France, making this nation the most visited nation on the planet. Many of these folks come to see Paris, the vaunted city of romance, above all else. Of all the cities in the world, few others possess the mystique that the City of Lights has in spades. Of course, the big problem with all of this is that it is very difficult to capture the essence of this French metropolis by staying in a hotel, where the experience is either generic or highly contrived. Many standard sights overflow with foreigners like you (and not native Parisians), taking the surreality that you had expected your visit to Paris to have. The best way to fight this is by actively seeking out local experience. The following article will dish on how to see Paris as a local, from the moment you wake up in the morning, right through to the last authentic activity you have energy for at the end of the day. While those that have excelled at their profession have made the glitzier arrondissements their home, your average Parisian has been forced outward towards more distant areas. This doesn’t mean you’ll be missing out on what makes this city great – many places like Montmartre in the 18th arrondissement are well connected to the city center by transit, and with centuries of history behind them, they have their own charms and attractions that make these places worthwhile places to reside. If you are looking for the perfect place in the outer burbs of Paris, sites like this one (http://www.housetrip.com/en/paris) will put you on the right track towards getting a cozy place in a leafy neighborhood in the City of Lights. When the delightful days of summer arrive in Central France, Parisians waste no time in deriving enjoyment from them, as one can plainly see when they stroll through this cities many amazing parks. You should join them in spreading out a picnic cloth and partaking of both the fine bounty of the land that France provides in terms of food and drink, as well as the company of close friends or a special significant other. Paris has numerous markets spread across its expanse, with each offering a wide variety of goods that will spruce up the look of your accommodation, as well as your mantle at home. Bouquinistes sell tons of old rare books along the banks of the Seine, while the Marché aux Puces de St-Ouen stands as the largest flea market on Earth, so if you’re looking for that random quirky knick-knack that will get your family talking back home. Yes we know … summer isn’t officially over for another month and a half, but with booking season for winter holidays just around the corner, we just wanted to give you a gentle nudge so that you can get your plans set before the rush begins. If you spent last Christmas at home, you might not need much convincing to spend the merriest season of all in the tropics this year. After all, with the memory of the brutal polar vortex fresh in your head, wouldn’t you feel more joyous with sand between your toes on December 25th instead of having snow in your shoes? I think we can all agree that a silky smooth tropical breeze feels much more relaxing than the sharp bite of a northern gale, so if you are seriously considering a tropical escape this year, we have compiled three Xmas travel ideas for tropical destinations around the world that will allow you to escape the bitter cold of a Christmas in the north. If you don’t wish to subject yourself to a long-haul flight in order to get somewhere warmer this holiday season, then checking out cheap Christmas breaks to Lanzarote will get you out of the dour weather of the continent, and on to an island that rarely ever sees day time highs fall below 21 degrees Celsius in the winter time. Weather here is the polar opposite of the dampness witnessed further north, with the arid climate virtually assuring rain-free skies for most (if not all) of your visit. When you’re not unwinding on Lanzarote’s diversely coloured beaches (ranges from white to golden brown to volcanic black), the active can try their hand at some of the best diving and/or surfing in the European Union, while those more artistically inclined can check out Jameos del Agua, a concert hall, restaurant, bar and swimming pool built inside a former lava tunnel. If the baby blue waters of the Caribbean are calling out to you subconsciously, then Barbados stands out as one of your best options as a place where one can relax in tropical surroundings, do many enriching activities, and celebrate Christmas in style. Submarine tours and catamaran cruises are both excellent ways to get to know the marine environment of this former British outpost, while those that enjoy a tipple or two will love the Mount Gay distillery, where Barbados’ most famous beverage, dark rum, is conjured up from the sugarcane that grows in abundance in the island’s interior. If you’re looking for a little Asian flavour this Xmas, but want a place where you can still attend mass on Christmas morning, then Goa will satisfy both of these requirements admirably. While most of India identify with Hinduism or Islam as their primary faith, Goa is an enclave of Christianity, as it was a colony of the Portuguese more than a half milennia ago. A sizable chunk of the population still identifies as Christian, worshiping God in one of several gorgeous cathedrals in the area. After celebrating in this fashion, or if you are just here for the amazing food and beaches, take advantage of Goa’s other attractions. Flea markets filled with hippie garb can be found everywhere, clubs, bars and pubs are chock full of cheap drink, and the old town of Goa has plenty of centuries old Christian art, much of which has an Indian twist. For those looking for a piece of authentic India, the cuisine, Hindu temples and volunteer opportunities can be examined just as readily as in other places in India, so don’t be scared off by proclamations that dub Goa a tourist trap. 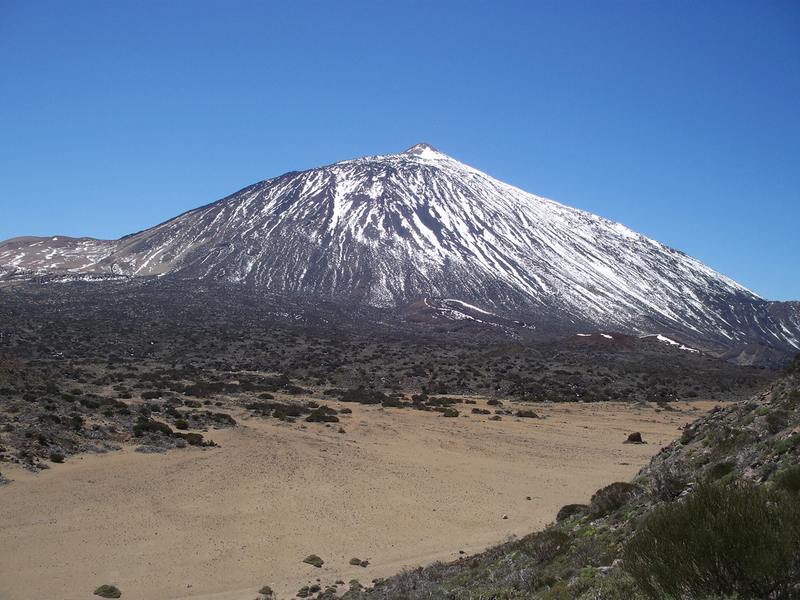 If you are an active person, hiking up Mount Teide will certainly be one of the fun things to do in Tenerife! For generations, the Canary Islands have been a getaway for those fleeing from the stressors in their lives, if only for a week or two. Some have managed to settle here permanently, but for those of us who haven’t the resources to live in permanent exile from bosses, bad weather, and irritating in-laws, we need to make the most of the time that we have in this idyllic sub-tropical islands. Fortunately for you, time to get away from these inconvenient but necessary burdens is close at hand, so you have been researching Tenerife flights in order to make your (temporary) escape official. While some time on beaches like Playa de Las Teresitas is definitely in order, you don’t want your holiday to go by in a blur while you bake away on a sun lounger. Indeed, the best breaks are defined by moments of discovery and excitement, and so you wonder: what fun things to do in Tenerife will achieve this goal? It offers plenty, and the list of potential adventures below is but the tip of the iceberg. Did you know the highest mountain in Spain is not on the Iberian peninsula, where 99.9% of its territory is situated, but is instead on Tenerife? Before we got into the travel business, neither did we. Being of volcanic origin, Tenerife was built up in dramatic fashion by a hotspot in the Earth’s crust, resulting in Mount Teide, the dizzyingly high peak that has shot up from the placid Atlantic Ocean, to the alpine elevation that its summit is at today. You could take the gondola up, but what fun would that be? Don’t forget winter coats and sweaters for the climb, as the peak tops out at 3,700 metres above sea level, putting the temperature at the summit at about 5-7 degrees Celsius in the summer, and below zero in the winter. The beach below will feel extra warm when you get back from this adventure. If you’d rather thrill seek by slipping down steep water slides rather than freezing your buns off, then spending a day at Siam Park will help you fulfill this desire. A water park that was designed based on the exotic architecture of Thailand (and was even opened by one of the princesses of its Royal Family), Siam Park has the largest collection of Thai architecture in one spot in the world outside the Southeast Asian country, has slides that include racers, plunge slides, bowls, and rapid rides. The food concession even serves Thai food in a full-fledged dedication to its theme! Tenerife has plenty of raw beauty to gawk at everywhere you look, which must have made the first duffer to grace its shores dream about opening a course here. Well, golf has certainly found its way here in the present day, with Golf del Sur, one of the best courses on the island, standing ready to challenge your ball control skills. Are you the time that likes to try and pick up new sports in your free time? If this describes you, then why not give the uber exciting adrenaline sport of kitesurfing a try while on Tenerife? El Medano is one of the world’s best places to practice this relatively new discipline, as strong and consistent winds combine with sheltered waters to create the perfect environment for a kite rookie to learn the sport in. If all this physical activity has you worn out at this point, it doesn’t necessarily mean that you’ll have to resign yourself to the beach for the rest of your holiday. In 2003, the Auditorio de Tenerife, with its daring late modernist design, opened its doors to lovers of the performing arts, hosting musical festivals, stage shows, galas, award shows, and much more. There is a consistent schedule of performers/groups putting on shows and productions, so check when you arrive to see if there is an offering that might appeal to you. Exploring Europe by train is the best way to go! There has been a romance about traveling by rail ever since George Stephenson first unveiled his groundbreaking Rocket on England’s Stockton to Darlington rail line. As the technology for engines and railroads spread to the US, opening up the country for development, and to many other countries, there are now iconic journeys that can be made in places such as Australia and Europe. The Orient Express is one of those iconic rail journeys, redolent of the luxury enjoyed by the European aristocracy and now a fixture in the travel plans for those looking for a different vacation experience. 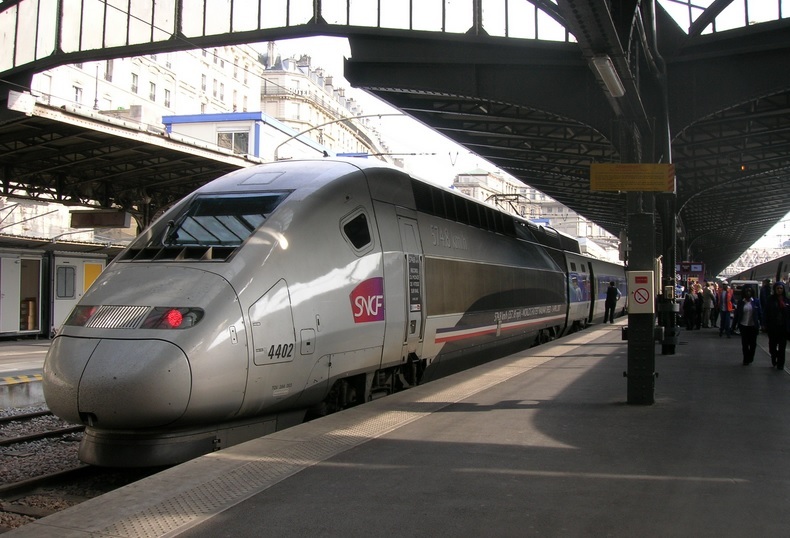 Yet InterRailing is arguably the very best way to see Europe by train. Before traveling to Europe and going InterRailing it’s essential to plan the journey. There are some 30 countries in Europe that can be visited with an InterRail pass and everyone will have a different idea as to where they want to go. For some it will be the iconic cities of Paris, London, Prague, Istanbul, and for others it will be a chance to explore countries that their ancestors may have come from. The enormous range of choice for destinations and types of train makes this completely different from simply flying in to a destination. Of course, flying is fast and generally convenient, but taking the railways gives a whole different sense of what traveling is about. Firstly, there is the opportunity to really see the countryside, towns and villages of so many different nations. Even the change from England to France is mesmerizing, and then traveling on to countries such as Switzerland and onward to Italy or Austria reveal stunning landscapes that simply can’t be experienced by air. Of course they can be experience by car, but that requires knowing the various driving regulations of each country and putting in a hard day’s driving just to get somewhere new. InterRailing completely takes the hassle out of traveling, letting vacationers sit back as the train takes the strain and stopping and staying in fascinating places that might otherwise never have been experienced. There are number of different InterRail Passes that save lots of money, so the planning is essential. Those who want to visit one country can get a One Country Pass and can buy additional One Country Passes to visit more countries. For those who really want to explore Europe in depth a Global Pass is the best. It’s an amazingly cheap way of getting all over the continent and a thrilling expedition of exploration for children as well as adults. Passes for seniors aged 60 plus, for youths aged 25 and under, and for children aged 4-11 years are all discounted. It can happen to anyone. Money runs short and funds are needed quickly. Setting up with a money transfer specialist such as Trans-Fast means that an order for transfer can be given quickly and money is sent extremely quickly, at a low cost, ensuring the vacation can continue without further disruption. Do You Know The Best Time To Visit Andorra? The best time to visit Andorra will greatly depend on what you plan on doing in the country. Andorra has alpine weather, with snowy winters and warm and dry summers. But depending on the altitude and the orientation of the slopes, there could be a variation to the climate patterns. Trekking and hiking. Trekking and hiking in Andorra is best done between April and October, during the warmer season as everything will be fresh and green. You won’t have to deal with snow or the harsh cold during this time of the year. Joining festivals and cultural events. The best time to visit Andorra and make the most of your vacation here is during the summer time, which is on July to September. The country’s villages are vibrant with festivals and events, which is a perfect opportunity for you to sample Andorra’s local cuisines and delicacies. But do take note that this is also the peak season in the country. Books can be pretty booked by then and prices for accommodations and airfare can balloon during this time. It’s best to plan ahead and make reservations early on to avoid the rush. Skiing and wintersports. 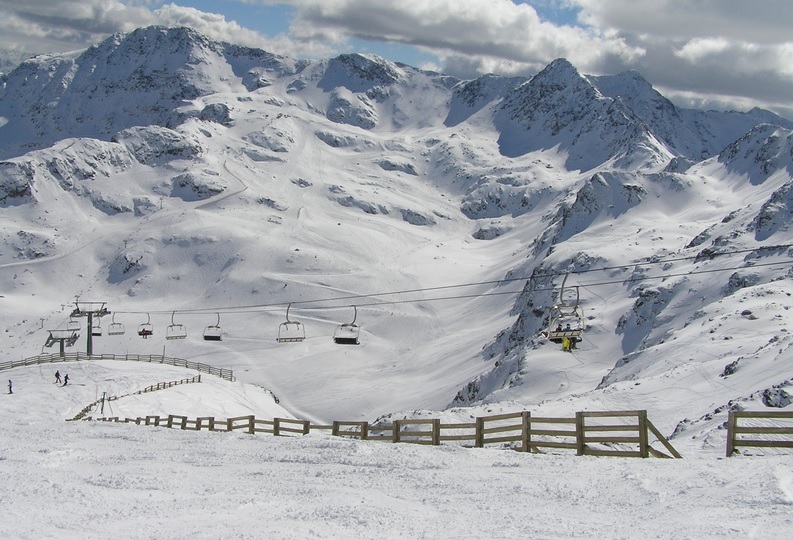 The main lure of Andorra is skiing and what better time to visit Andorra for a ski trip than during winter time. The coldest months fall between December and March and that is when the snowfall is heaviest. The slopes are perfect by then. But if you missed the snow from December to March, don’t fret. There are some ski resorts which remain open even after the winter season. These ski resorts make use of snow machines or man made snow on the slopes. All content © 2014 by Europe Travel Catalog.